Hope everyone is having fun tricking or treating! For me, I'd already celebrated Halloween last Saturday at Universal Studio's Halloween Horror Nights 2. It was my second time taking part and boy, I screamed myself hoarse that night. Thanks to all the "Dungeon of Damnation" and "The Sanitarium". Despite all the screaming, we still managed to enjoyed ourselves. Looking forward to the next Horror Nights in 2013! 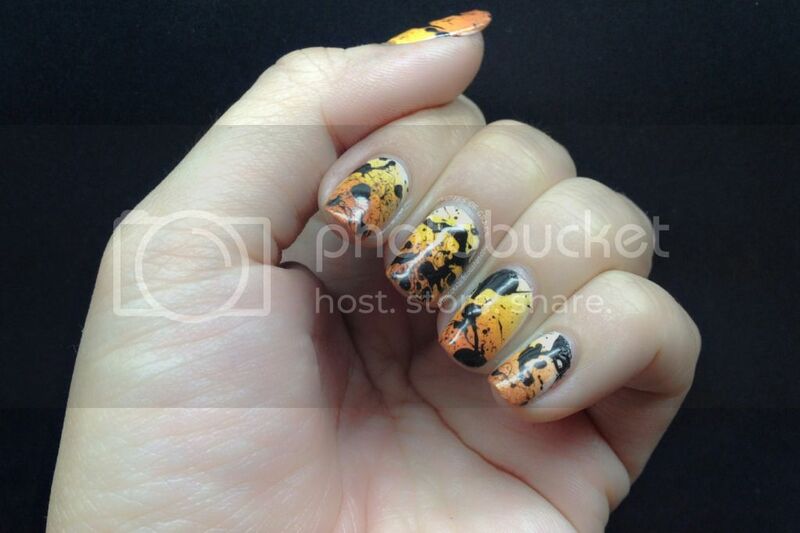 For the night out at USS, I decided to have a Halloween manicure to match the event. After much thinking, decided on a Gradient and Splatter design. I have never attempted a Splatter mani so it was time to try it out! It was actually pretty easy to create the above. My only complain was the cleaning up part. Spent quite some time cleaning up the sides. This was the first time that I used some many colors for a design. For base, I painted 2 coats of Chinaglaze White on White. For the gradient, I used OPI The "It" Color, Chinaglaze Life Preserver and Harvest Moon. OPI Black Onxy was used for the splatter. It might not be as good as other splatter nails other there but I'm pretty satisfied with the end results. What about you? 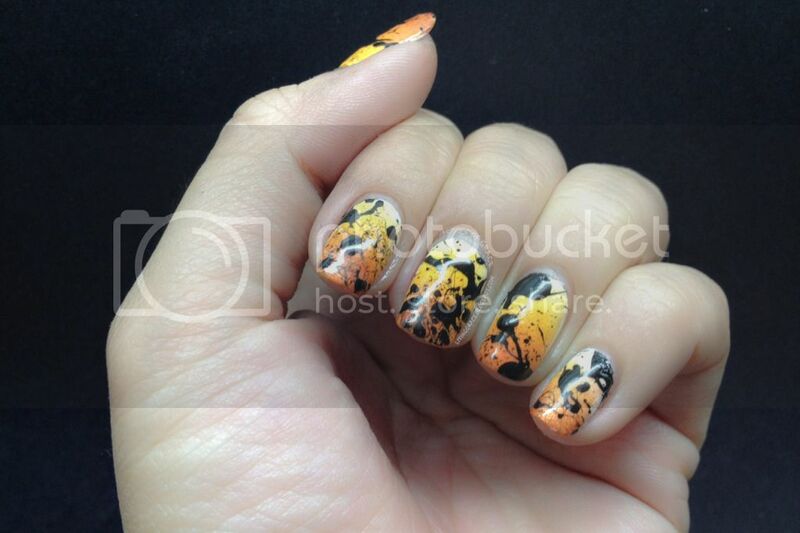 What did you paint on your nails for Halloween?